Sharp is said to launch some bezel-less smartphones very soon, and some weeks back, we got an alleged render of the Sharp Aquos S2 showing a full bezel-less screen with an in-display fingerprint scanner. But, seems like that is not going to be the case in real life. Today, we finally have a look at the actual design of the phone, thanks to the TENAA listing. TENAA, if you don’t know, is the Chinese telecommunication authority. We have seen that most of the time, the actual design of the phone is revealed via TENAA that always turns out to be true. Talking about the Sharp Aquos S2, it has no ‘full’ bezel-less display for sure. 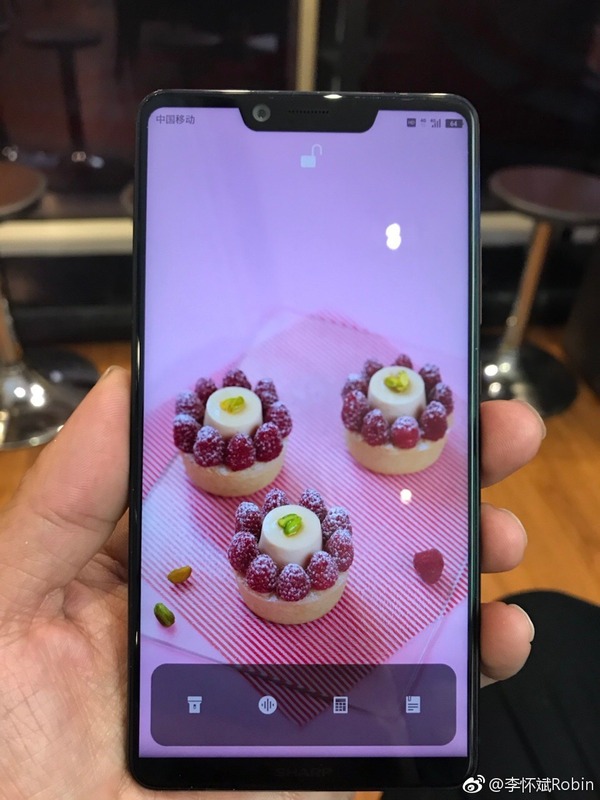 As the image above shows, the phone has a tri-bezel-less screen with a front-facing fingerprint scanner and the Sharp logo on the bottom chin. It looks like the phone has a same cutout for the front camera as it is on the Essential Phone. On the rear, the Sharp Aquos S2 has a vertical dual camera setup, just like what the iPhone 8 is going to have. On the left, there is the SIM card tray whereas the power button, and volume rockers are on the right side. So basically, there is no in-screen fingerprint scanner and probably no 4K display as it was rumoured before. There is still confusion related to the specifications as some sources suggest that there are different variants of the device. There can be either a Full-HD 5.5-inch display (1080 x 2048) or a UHD 5.5-inch display(2160 x 3840). The low-end model might be powered by a Snapdragon 630 or 660 processor whereas we can expect a more powerful chipset for the high-end model. The launch is happening today so stay tuned for more updates on the device.